I’ve read most of Gregory Maguire’s books; Lost is my favorite. This rework of Alice’s Adventures in Wonderland is mostly commentary on the social climate of the 1860s in England, but also touches on the approaching American Civil War. THE PLOT: Alice’s friend Ada falls down the rabbit hole after her. She meets the same cast of characters we know from Alice, complete with puns and riddles that are worthy of the original. But these chapters alternate with chapters in which Alice’s older sister, Lydia, searches for the missing girls with the help of Ada’s governess; helps her father entertain Charles Darwin; and flirts with an American who is visiting with a former slave child. Lydia wants to be flighty and brainless, but she also is mourning the death of her mother and trying to figure out what is expected of her as a woman in this society. MY TWO CENTS: I found the “real world” chapters narrated by Lydia to be a big slowdown in the reading. I understand their purpose, and they’re not a difficult read, but they’re obviously not as fun as the Ada/Wonderland chapters. With the exception of Lydia, none of the characters are really explored or three-dimensional. They exist more as symbolism, and nothing is symbolized more in this book than freedom/captivity. When Ada trips into wonderland, she loses her back brace (which sounds like a hideous contraption of the times) and gains freedom to move. Escaping her governess, Miss Armstrong, also contributes to that freedom. Siam is no longer a slave, yet he’s a captive to racism, society’s fascination with him as an oddity, and his name which isn’t really even his name. He too escapes to Wonderland. It’s hard to tell if Lydia or Miss Armstrong are the most captive. Lydia is trying to move through the expected feminine roles of the time, but without a mother to guide her. She may want more, but she’s not willing to really buck Victorian mores to do it. Miss Armstrong seems to hate Ada, hate her job, hate the new baby, and hate her employer’s wife; she longs to mistress of her own house (and life). Neither she nor Lydia can “find wonderland” (or Alice or Ada), but Miss Armstrong is much more frantic about looking. She’s likely to be trapped forever in her position, just as Lydia will be trapped in hers. BOTTOM LINE: If you enjoy Maguire, you will probably like this book. 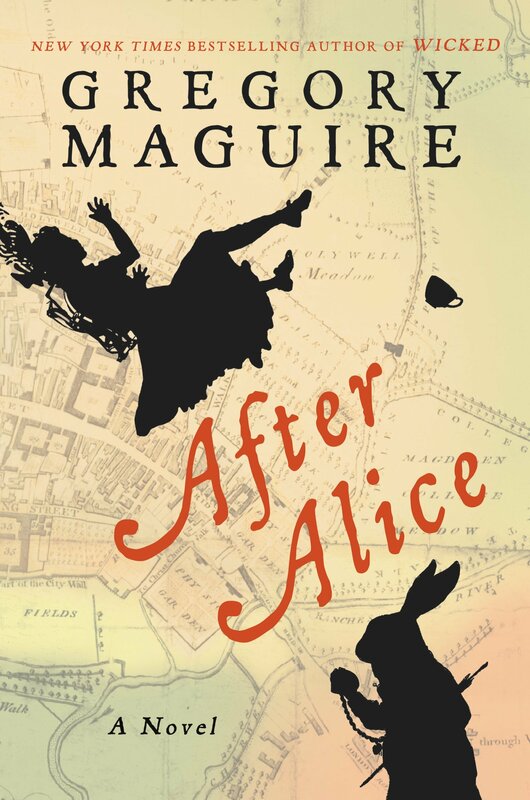 If you disliked other Maguire books but enjoy Alice stories, you might want to give this a try. If you’re looking for straight storytelling with a narrative that flows and has no social messages, this isn’t the book for you. TEACUP RATING: Three and a half out of five teacups. ON SALE DATE: Available on October 27, 2015, in paperback and eformats. Note: Review is based on ARCs provided by the publisher via Edelweiss and Amazon Vine in exchange for an honest review. Cross-posted to Amazon.